560m² of Degafloor Flake installed over 2 weekends to meet strict programme requirements. 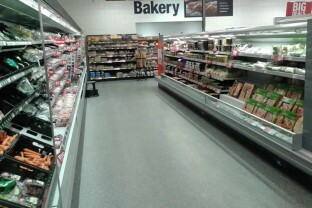 The Degafloor system was laid over existing ceramic tiles ensuring the store continued to trade. 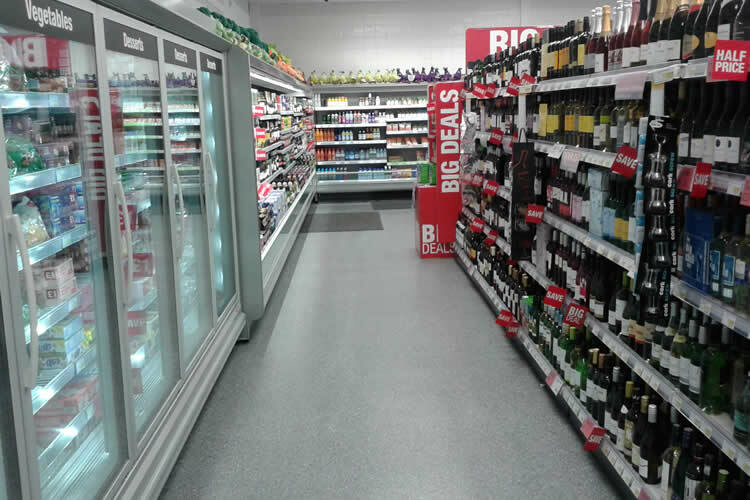 The Midlands Co-operative recently fully refurbished their Desborough store and were looking for a durable and attractive looking new floor. Vale UK as main contractors for the project appointed Q Flooring Systems to carry out these works using the Degafloor Flake system. 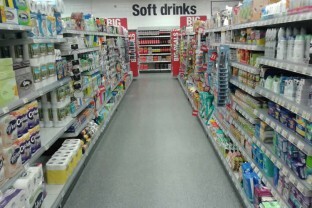 One of the first considerations when renovating the store was the condition of the floor. The ceramic tiles which made up the existing 560m² were very dated and many of them were cracked and in poor condition. However, strict programme restrictions were in place meaning that the existing tiles could not be broken up due to the amount of time that this would take. 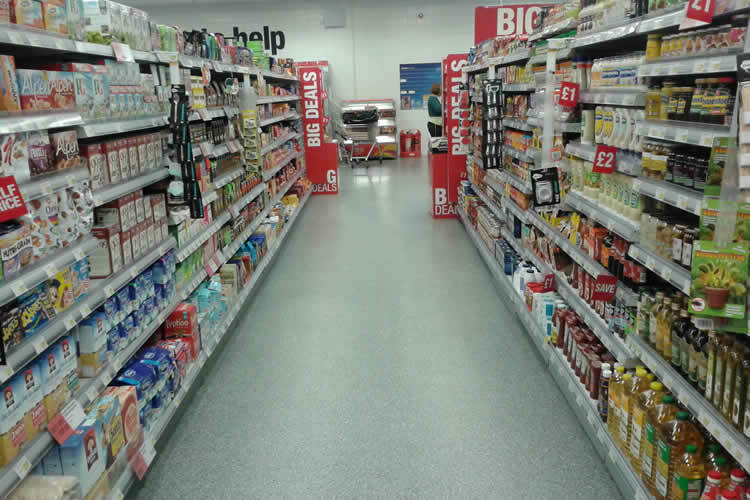 Q Flooring Systems carried out a full site survey of the store and recommended that the Degafloor system at 4mm thick was the ideal system to install over the tiles. Q Flooring Systems proposed the Degafloor Flake System as it can be laid over a variety of substrates and meets the heavy demands of a retail environment and is fully cured 2 hours after the final seal coat is applied. 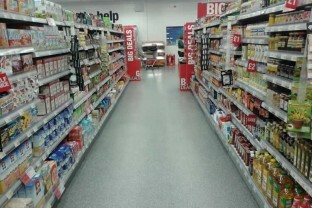 The works were carried out over 2 weekends to tie into the strict programme. The ceramic tiles were thoroughly shotblasted to provide the mechanical key for the new Degafloor flake system. A scratch levelling coat was then applied to eradicate the tile recess joints followed by the Degafloor flake system in a bespoke colour chosen by the client. As the Degafloor system was fully cured 2 hours after the final seal coat was applied, it enabled other trades to work on the floor by 8am the same morning ensuring that the strict programme was not compromised. 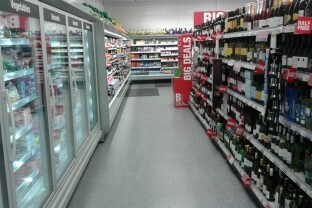 Q Flooring Systems has a wealth of experience in working to strict deadlines in commercial environments and the Midlands Co-op is understandably delighted with the result and their new floor.